Audio-Technica, a leading innovator in transducer technology currently celebrating “50 Years of Passionate Listening,” is introducing its new high-fidelity System 10 2.4 GHz Digital Wireless at AES 2012. Perfect for a wide range of applications – houses of worship, singers and guitar players (hobbyist to professional), karaoke, corporate/presentation etc. – the System 10 wireless offers reliability and ease of use at an economical price point, along with features and functions comparable to those of systems costing thousands of dollars more. Operating in the 2.4 GHz range, immune to TV and DTV interference, System 10 makes frequency hunting a thing of the past. System 10 offers amazingly accurate sound and extremely easy operation with instantaneous channel selection, sync and set-up. Up to eight channels may be used together without any frequency coordination problems or group selection issues. System 10 receivers and transmitters offer an easy-to-read digital ID display. The single-channel System 10 includes the ATW-R1100 single-channel receiver and either a body-pack transmitter or handheld microphone/transmitter. The ATW-R1100 is a diversity digital receiver offering volume control along with AF Peak and Pair indicator lights. 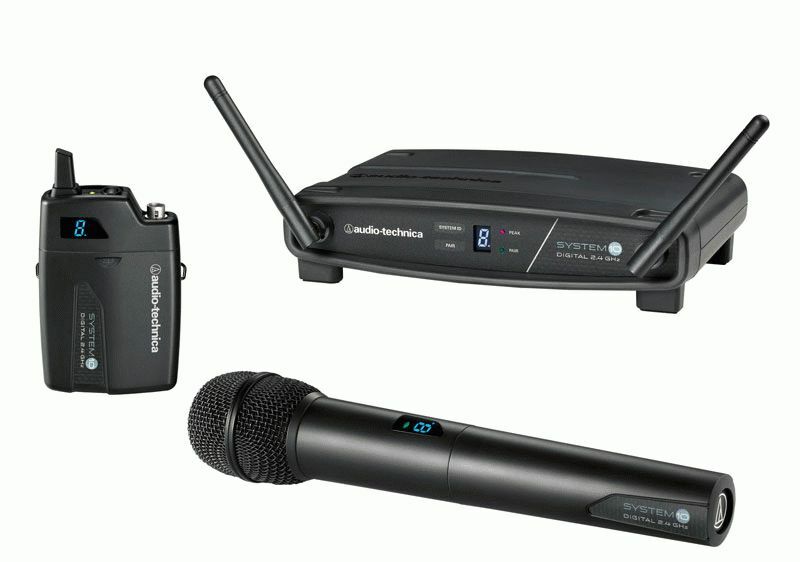 Audio-Technica’s System 10 packages will be available November 2012. For more information, please visit www.audio-technica.com.